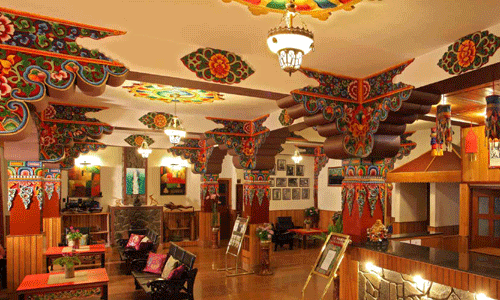 Club Mahindra Dharamshala offers 32 Guest Rooms which are tastefully designed and carved by local expert. Guest can choose between a king size bed and a twin bed with a bathtub. guests can enjoy the facilities of a cable television, DVD player, coffee/tea maker, Wi-Fi connectivity, fruit basket, telephone, heater, fireplace, and a music system. Club Mahindra Gangtok offers multi Cuisine restaurant that serves sumptuous mouth watering delicacies local cuisines as well as Indian oriental and Continental dishes. The restaurant is well-decorated, and has an ambiance that is conducive to feasting and revelry, and has breathtaking views and a central fireplace. Club Mahindra Gangtok also offers a cosy lounge bar called the Alpine Bar, which serves the choicest spirits and cocktails. Club Mahindra Gangtok is located about 149 km form the Bagdogra Airport and 127 km from the New Jalpaiguri Railway station . Other interesting places that one can visit are Enchey Monastery, Hanuman Tok, Tsomgo Lake, Nathula and Ranka Monastery. 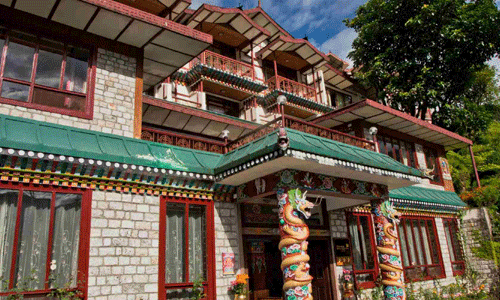 If you have not decided yet or wants to customize tour itinerary or hotels listed above in "Club Mahindra Resort Gangtok", then we can change the travel itinerary and make a personalized, tailor-made holiday package, especially for you. We can modify this travel package as per your itinerary, budget, duration and the tourist places you would like to visit, including transportation and airfare should be included or not. Please fill the form below to contact us.